After several years of reading about other bloggers Round Top Antique Fair experiences I finally made the trip up there myself. I took my friend Lindsay who I knew would love it, possibly more than me. She's new to blogging and you can check out her craftiness here. So, why did it take me so long to get up there? Honestly, I'd never heard of Round Top, Texas. I kept hearing it was in the Hill Country and assumed it was somewhere near Austin or San Antonio, which is several hours away. And, I got it confused with Round Rock, TX that's near Austin. It turns out it is a little over an hour from my house, near Brenham (home of Blue Bell ice cream), if you are an equally confused Houstonian. You might have seen a few pictures I put on Instagram. I wish I had taken more, but I was so overwhelmed by it all. There are miles and miles of tents along the road. Once we passed Round Top it was even crazier in Warrenton. This is definitely not a place you can go without a plan. Thankfully, I had looked up a few places and had an idea of where to go. One of the top places is Blue Hills. I absolutely loved the French Laundry tent there. They have beautiful bedding and throw pillows at reasonable prices, which is nice since I was surprised at how expensive everything was that day. I did buy these two Christmas stockings for $30 total. My husband gets the manly brown velvet one and the other one is mine. I love that the colors fit right in with my living room. We headed back to Brenham for lunch and later stopped at Leftovers Antiques that I noticed on the way there. I also read about it on another blog and was intrigued by it. This is truly one of the cutest stores I have ever seen. It's huge for a boutique and we spent so much time looking around that we never made it back to Round Top. I couldn't resist a small Dash & Albert kitchen rug. 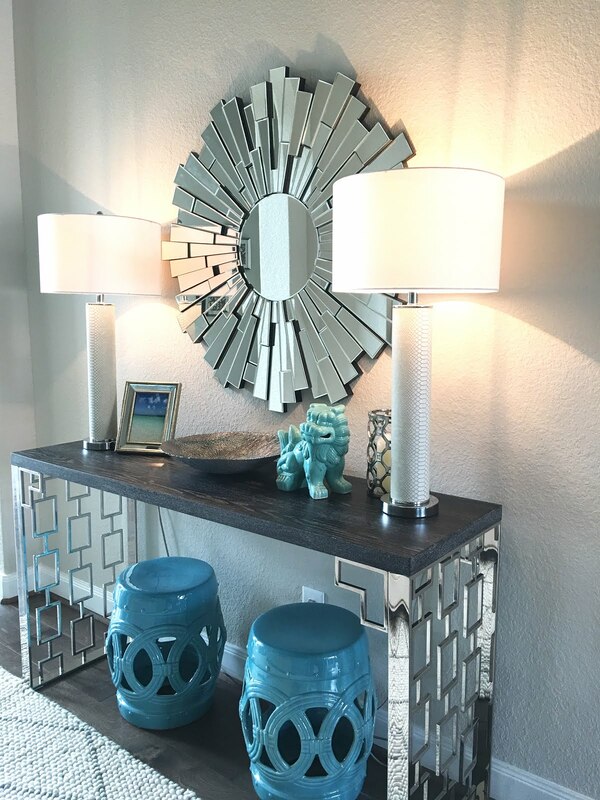 I've got a new project update and a deal alert! I'm finally fixing up the balcony off my bedroom. I thought this was going to be my space when we moved into this house, but I realized that was impossible with kids. The wicker furniture we had out here warped over the years and I never bothered to replace it since I never used this porch. Now, that my kids are older and I have a pool view it's time to fix this space up. 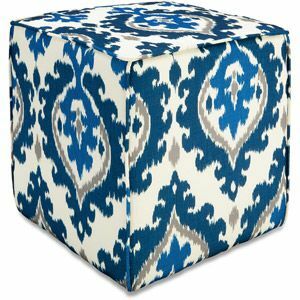 I bought this ottoman yesterday at Wal-Mart for $29.88 to go with a seagrass chair my mom bought me recently. $29.88! It was the last one left so I lunged at it and tucked it safely away in my cart. I could see the envious eyes of other shoppers as they passed me by. However, if you want one take advantage of Wal-Mart's free ship to store policy it's available online. But, I am in love with this one. Isn't it great? I am trying so hard to find a spot for it in my house right now. I'll be back tomorrow with my fall front porch reveal! Great score! Love the colors. Can't wait to see your balcony! Round Top sounds like an amazing place! Wish I could go there! Wow, love the photos you took from Round Top, such cute stores. My favorite line though is "I typically have a shopping expiration date of two hours and then I want a margarita." Girl, I am with you on that! LOL! :) Love the ottomans too. Okay, off to see if you posted your porch update! So much fun but totally overwhelming. Can't wait to go back to Leftovers. I want that princess crown now that u thought on it more. The rug looks great in the kitchen!